I love how the handle of the mug conveniently works as a handbag hanger. They remind me of my school days when I would occasionally walk past the industrial design department and marvel at all the brilliant concepts that I would never in a million years come up with myself. 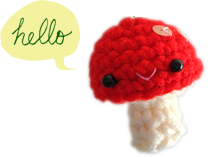 I’d love to see a coffee shop filled with these. 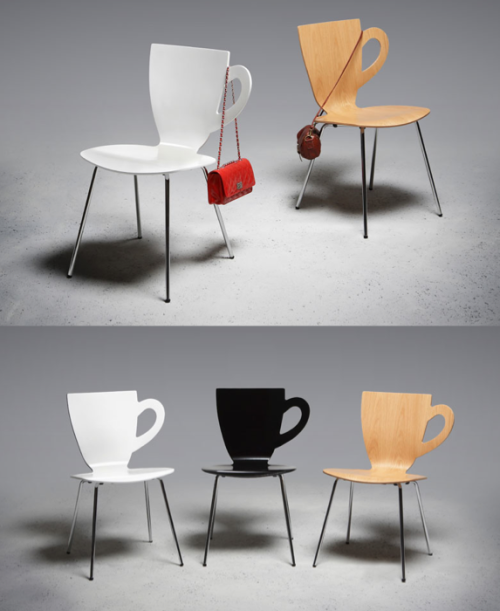 Coffee chair from Sunhan Kwon. 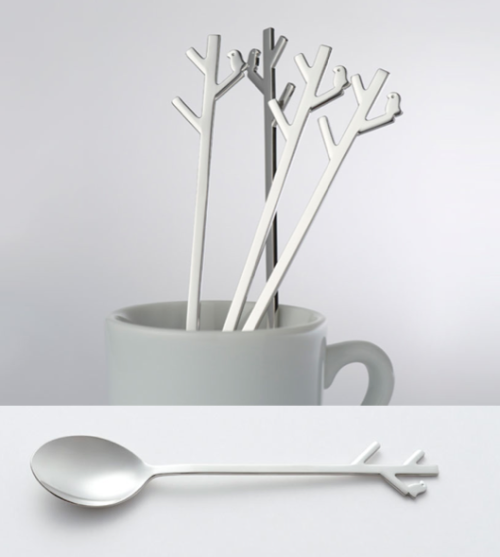 And these delightful spoons, for stirring tea. Both the coffee chair and the forest spoon, along with their lovely photo composites, came from Inspire Me Now, a streamline blog filled with, well, inspiring ideas! If you haven’t heard of it I would highly recommend paying a visit. Detailed tutorial on Bloesem Kids.